Should've left it white on white. 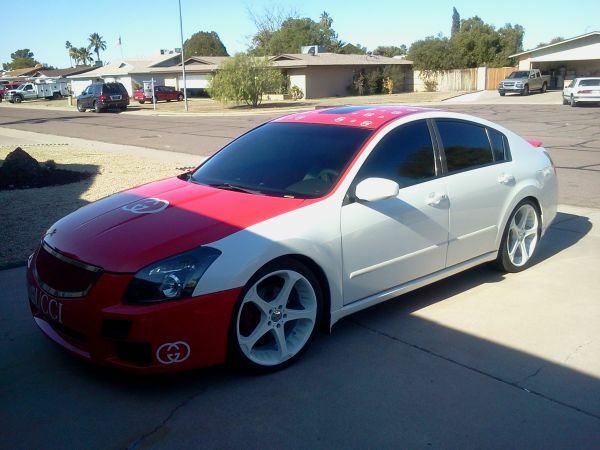 I thought white 6th Gens was the best??? Thats Weak. 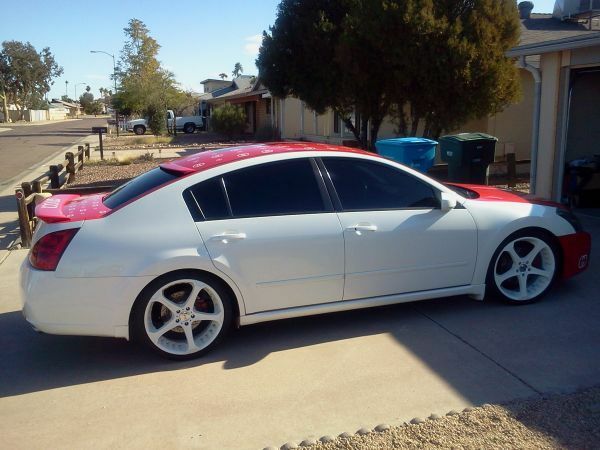 We need a red Maxima. But not that burgundy red. Who was it the other day talking about Mini Coopers being chick cars and Maximas being dude cars because they are 4 door sport cars? 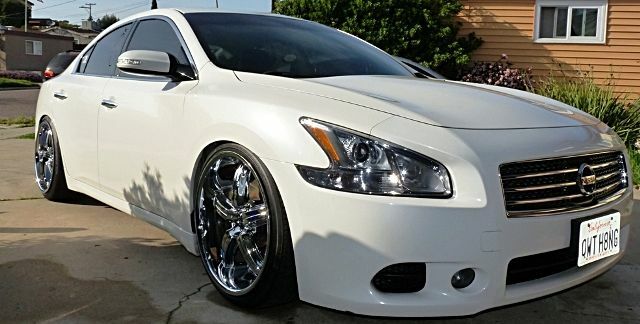 I concede, this particular Maxima should be owned and driven only by a chick. 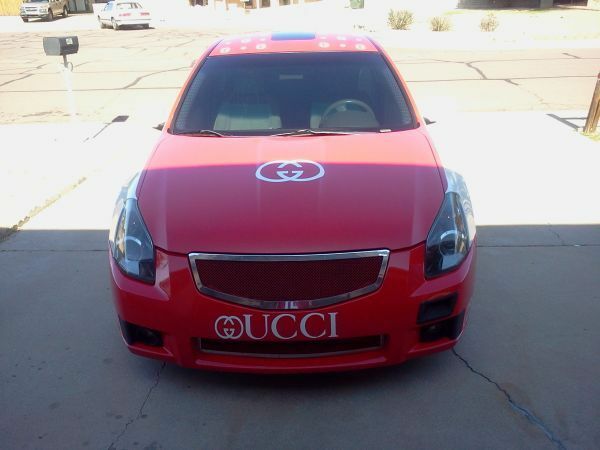 If this is a rolling advertisement for Gucci, I hope they are being compensated monetarily. It appears to be very well done. I wonder if this an overlay or a custom paint job? I feel sure the process can be reversed when the owner comes to his or her senses. I highly doubt Gucci sponsored any of this work. They're not desperate for advertisements, let alone to pay for a paint job like that. You are most correct about the Gucci sponsorship. I did not notice the intake port. I didn't say Gucci aka the actual company. Why didn't you say that in the first place? 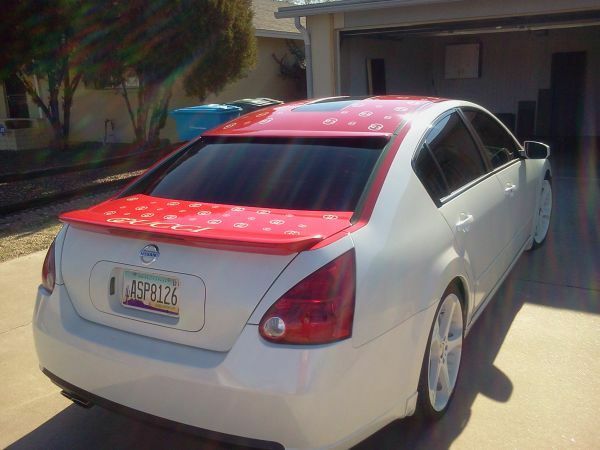 Why, that's a Maxima of a different color.